The first day of Fall is only 2 days away and I am so excited! Although Fall is starting soon, it is still SUPER hot here. So to combat this and still be able to wear some Fall items I brought out the trusty kimono. 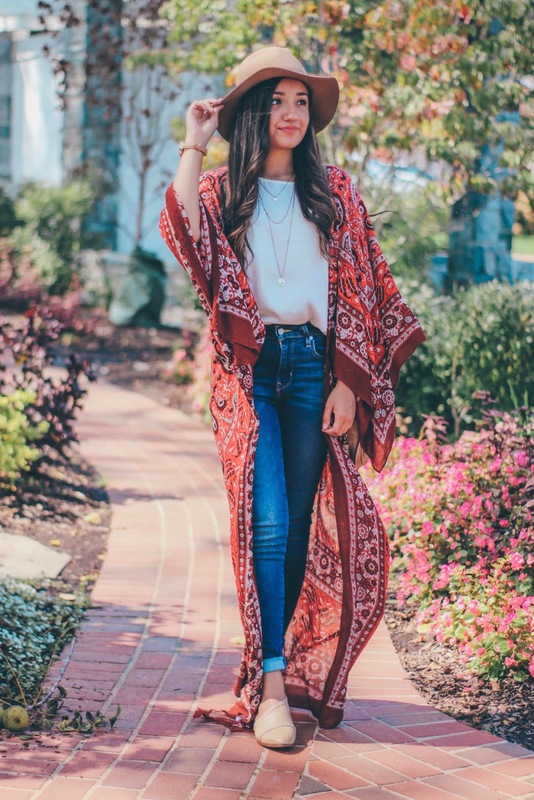 Kimonos are perfect layering pieces during seasonal transitions because they are lightweight, but still add some warmth on those cooler days. You can get a kimono from just about anywhere but what I loved about this one is that it is a maxi kimono (even though I'm too short for it). 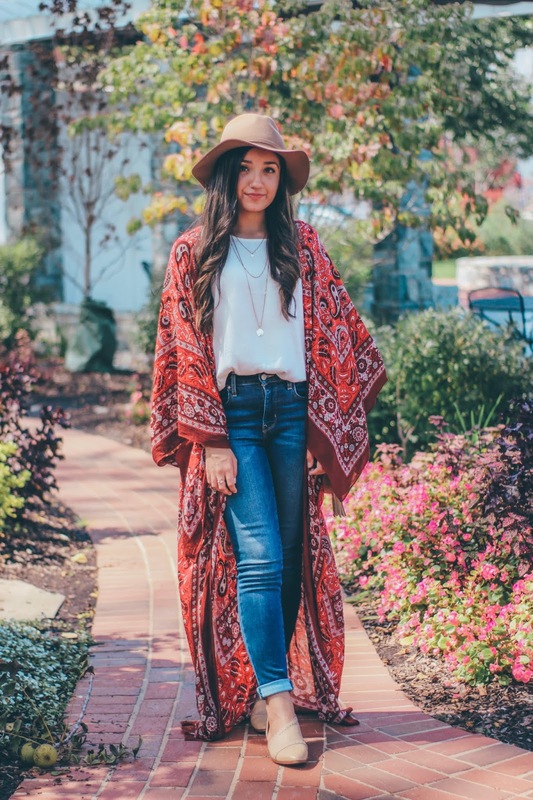 Even though I'm just wearing a tee shirt and jeans, putting this kimono on made a huge difference in my look and made it more Fall appropriate. Now, let's talk about these awesome shoes. 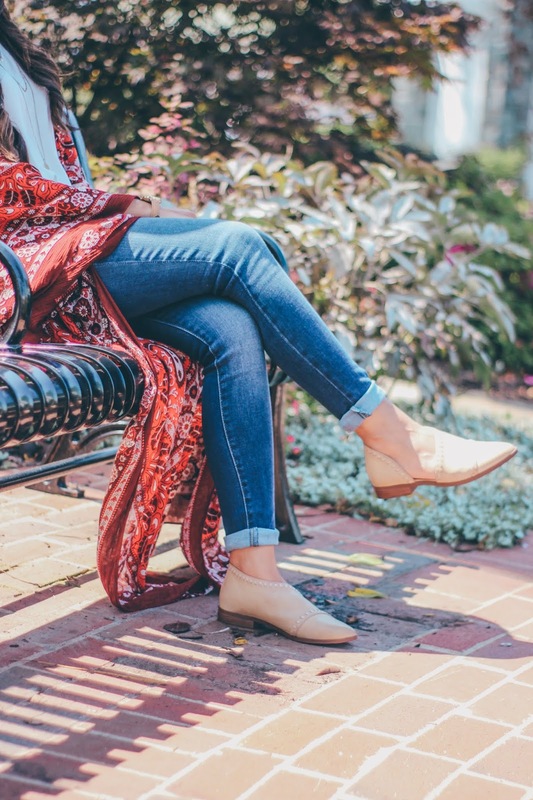 If you're a big Free People fan, you'll recognize these shoes as a best seller on FP's website. However, those shoes are about $200 and WAY out of my price range. So I decided to go on a hunt for a cute dupe and I found these at Tilly's for just $20 with a coupon I used! And honestly, they are even cuter than the FP one's because of the stitching details on the shoe. Target also sells the exact same pair as the one's on the FP website in different colors. You can click here to check them out! As for other accessories, I went with this cute hat western styled hat from Uniqlo and my (overly used) saddle cross-body bag. 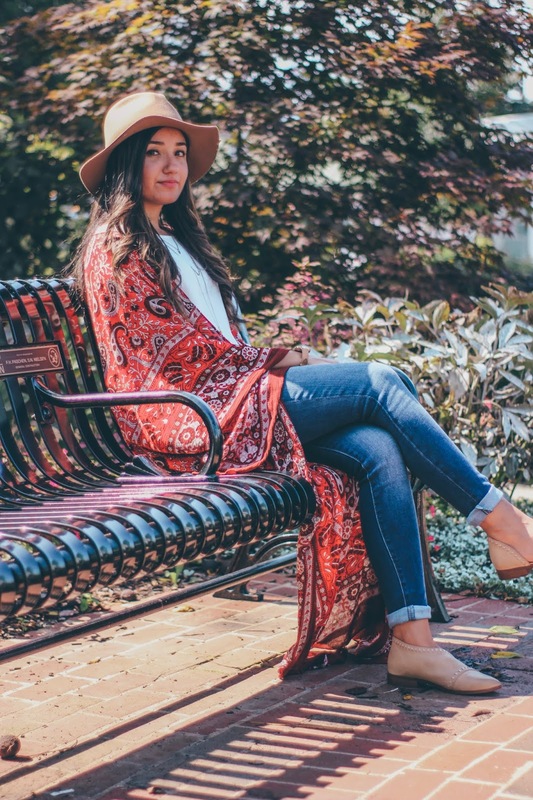 I hope you liked this Fall transition look and I can't wait to post even more Fall looks in the future! Wow... It's truly been a really long time guys! I'm not sure how to even start this. Well, today is my birthday and I thought why not make this post today? I ended up taking a (very) unexpected break from blogging these past few months and honestly, it was the best thing I could do for myself. These past few months I went through an extreme self reflection of myself, who I am, who I want to be, where I want to go in life. 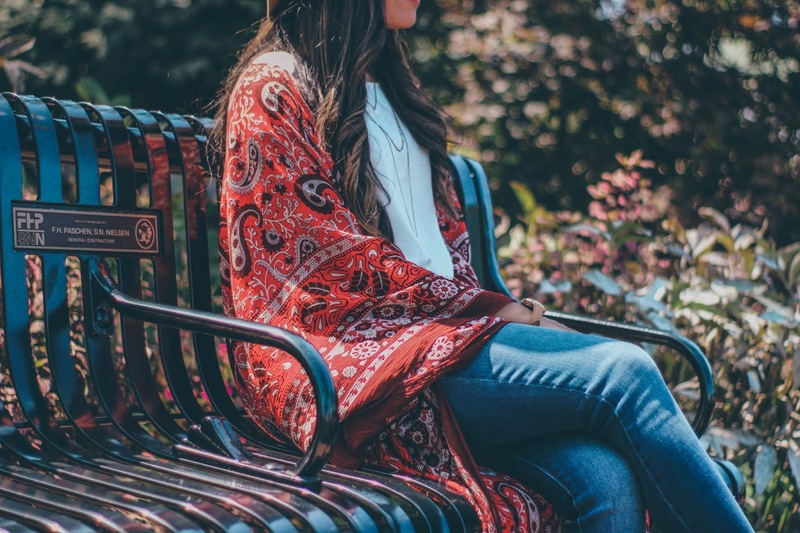 I had been going through many of these personal battles with myself and it honestly pushed my blogging to the side. It wasn't my priority anymore, simply because I didn't want it to be. Don't get me wrong, my love for fashion will never die. However, social media started to take over me and I wasn't happy anymore. I wasn't happy with what I was posting, and I wasn't happy having to constantly worry about when to create a new post, when to wear a certain outfit, how to increase my engagement, etc. It just didn't feel like me anymore. My inspiration wasn't there anymore and I just knew it was time to take a step back. During these past few months, I decided to be more selfish and focus more on me and my personal happiness. I hung out with friends more, travelled more, and tried many new things. It really helped me figure out, well, me. I want to also thank those who have still stuck around to watch not only my blog grow, but watch me grow as well. Without you guys, I wouldn't have been able to have the opportunities I have today! I am now ready and excited to get back into blogging and fashion, but taking a different approach and always putting myself beforehand. I'm so excited to show you guys the new ideas I will have in store and I hope you stick around to see it all as well.